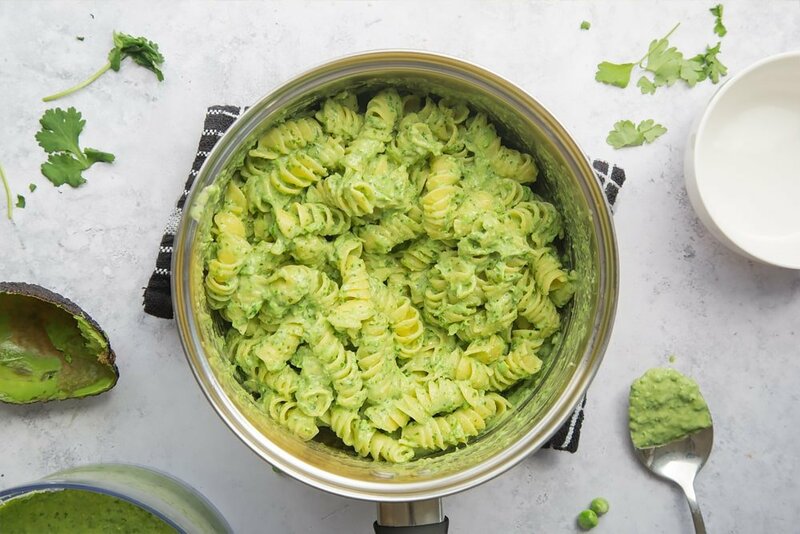 I’m excited to share this vibrant green pasta sauce that’s made in minutes. It’s packed with goodness, is super creamy and it coats the pasta beautifully. 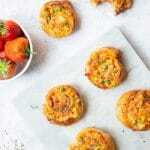 The recipe is by food blogger Jacqueline Meldrum of Tinned Tomatoes, and is featured in Living on the Veg: A kids’ guide to life without meat. 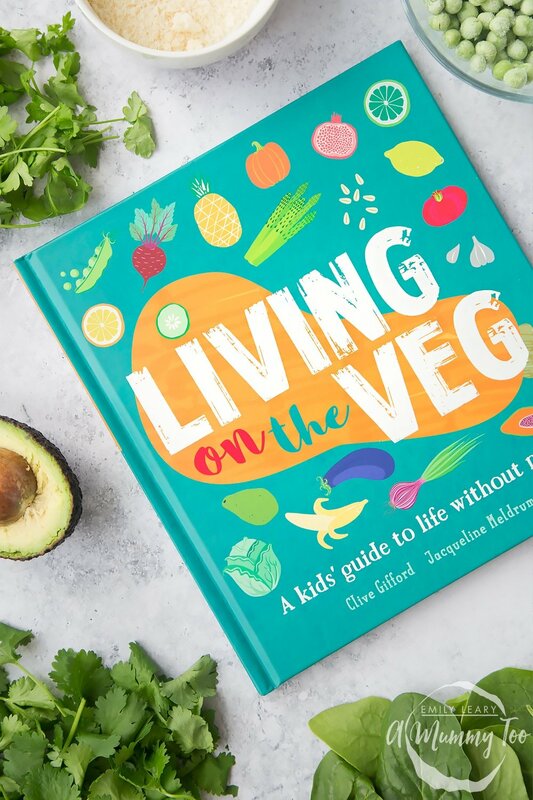 Living on the Veg is a newly released children’s book by Clive Gifford and Jacqueline Meldrum, which is aimed at children aged 9-11 to introduce them to the fundamentals of vegetarianism. If you’re looking to help your child understand the vegetarian diet in an accessible way with plenty of illustrations and a good supply of recipes, Living on the Veg is a great option. Now, let’s make Jac’s fabulously quick and creamy green pasta. Cook the pasta in a large pan of boiling water according to the packet instructions, then drain and return to the pot. 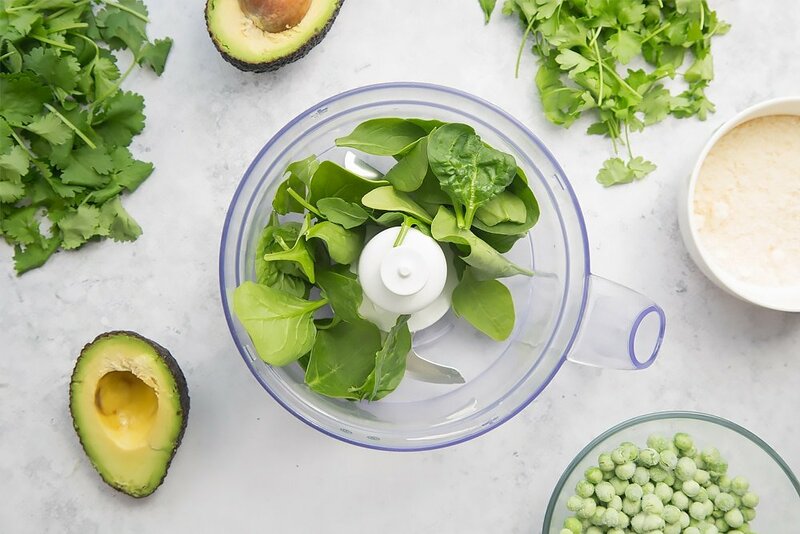 While the pasta is cooking, whizz up the avocado, peas, spinach, herbs, cheese and milk in a blender or food processor. Season with a pinch of salt and pepper. Pour the sauce over your cooked pasta. Stir in and warm a little over a low heat. Doesn’t it look delicious? Such a great, creamy texture! We left ours with a little texture, but with a decent blender you could get the consistency completely smooth, if preferred. What do you think? 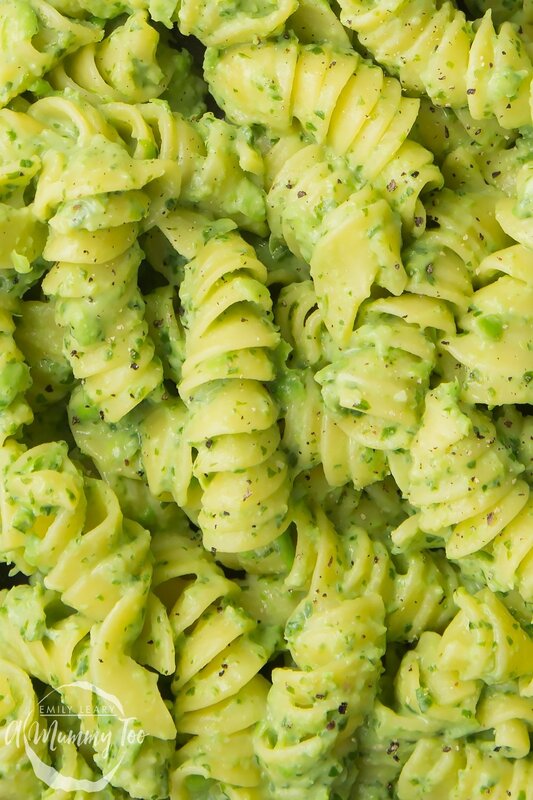 Are you tempted to make this quick green pasta sauce at home? A vibrant green sauce for pasta that's made in minutes. It's packed with goodness, super creamy and it coats the pasta beautiful. 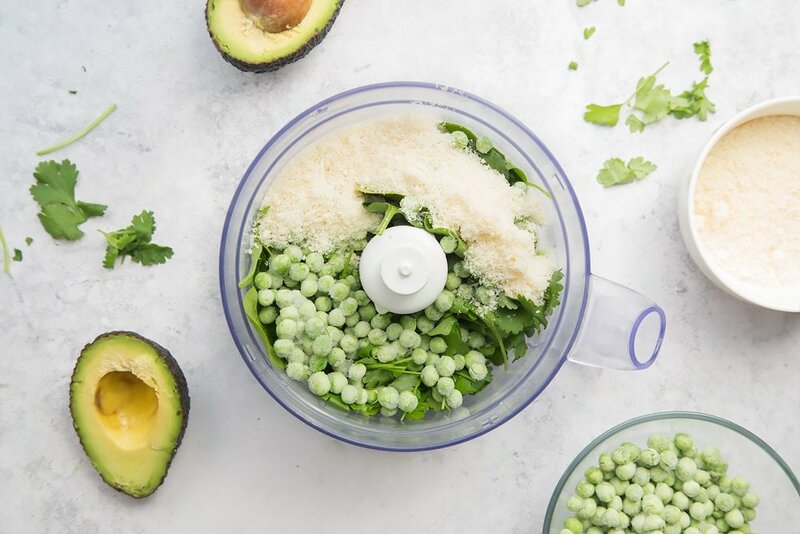 While the pasta is cooking, whizz up the avocado, peas, spinach, herbs, cheese and milk and blender or food processor. Pour the sauce over your cooked pasta, stir in and warm a little over a low heat. Serve in bowls, topped with a sprinkle of cheese. Enjoy! If you loved this quick green pasta sauce, why not try my vegetarian bacon and chilli pinwheels? Recipe by Jacqueline Meldrum as featured in Living on the Veg, reproduced with permission. Such an easy way to get kids to eat veggies and to show them there are other ways to get nutrients into their diets! Absolutely! 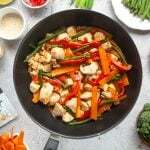 It’s a lovely recipe – I’m sure your kids will love it as much as mine do, in fact it goes down a treat with the whole family! 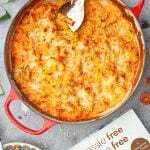 This is a fab pasta dish and we all love it in our house! ‘Living on the Veg” is a fab book with lots of other delicious recipes to try! 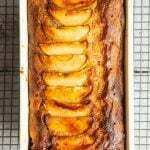 Hi Louise :) This lovely recipe is certainly a winner in our house. The sauce is is quick and easy to make and tastes delicious! 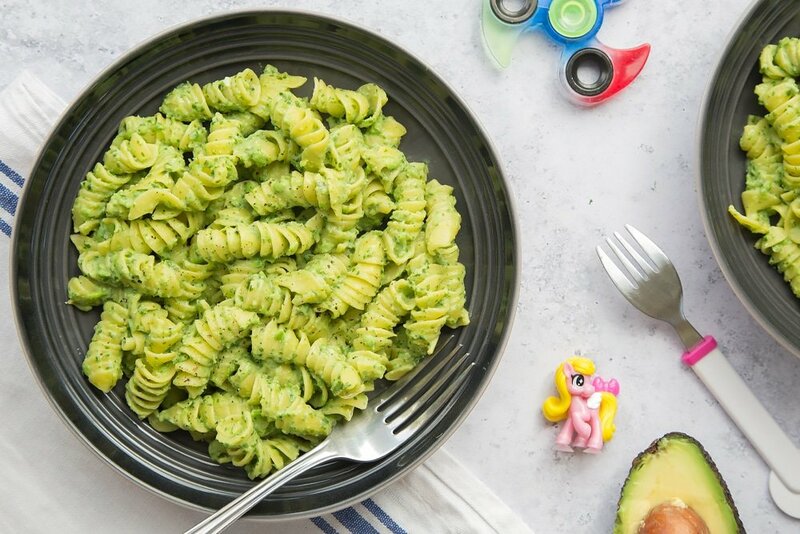 This pasta recipe looks delicious! I want to get that book and give it a try now. Yes, do check out the book, it’s great! 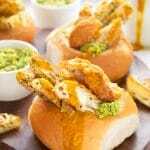 We love this recipe in my house, it’s so tasty and super speedy and easy to make! This sounds like a lovely recipe. I love that there is so much hidden veg in there making this dish really healthy. 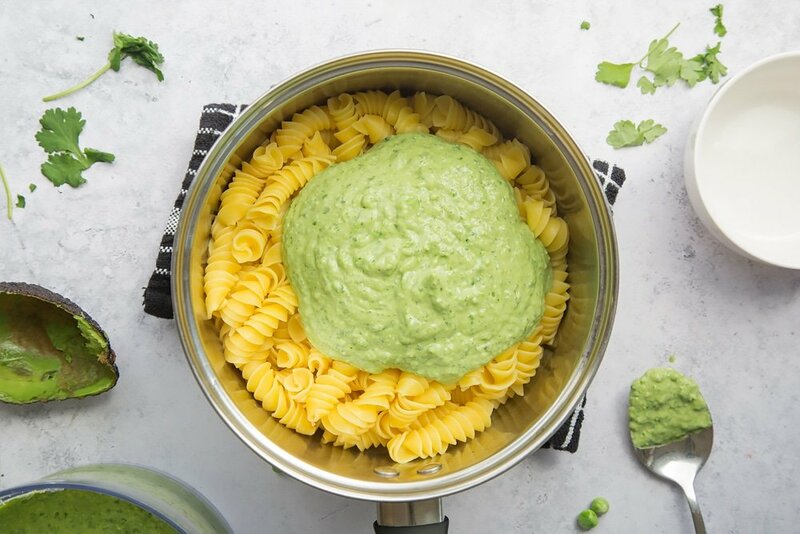 This delicious green pasta sauce is SO yummy and a great hit in our house! My kids loved helping to put the sauce ingredients into the blender and tasting the delicious result! There’s a great range of recipes in ‘Living on the Veg’ – definitely well worth checking out! Ok I NEED to get that book- what greta simple but effective recipes! This recipe is so tasty and there are many more in ‘Living on the Veg” – it’s a lovely book. This looks delicious, I would eat it right now! It really tastes so good and as all the sauce ingredients are mixed together in the blender, it’s super quick and easy to make. 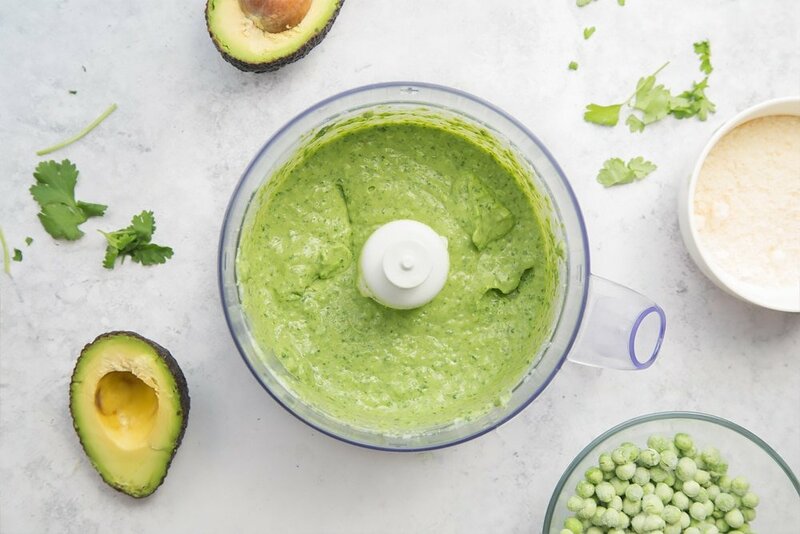 The avocado isn’t just going to make this sauce healthier, it’s also going to make it creamier, which is perfect! I think this sauce is a must try and I love how easy it is to make! Yum, I could definitely do this with vegan parmesan in place of the dairy one. Looks great. Absolutely. 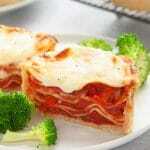 This dish is delicious and it’s so quick and easy to make. The book ‘Living on the Veg’ is lovely and well worth a look. Yes, it’s perfect for a tasty summer’s side dish or a complete meal in itself. We love making green pasta sauces. It’s a great way to hide veggies for kids. Yes, it can be a great way to hide veggies. 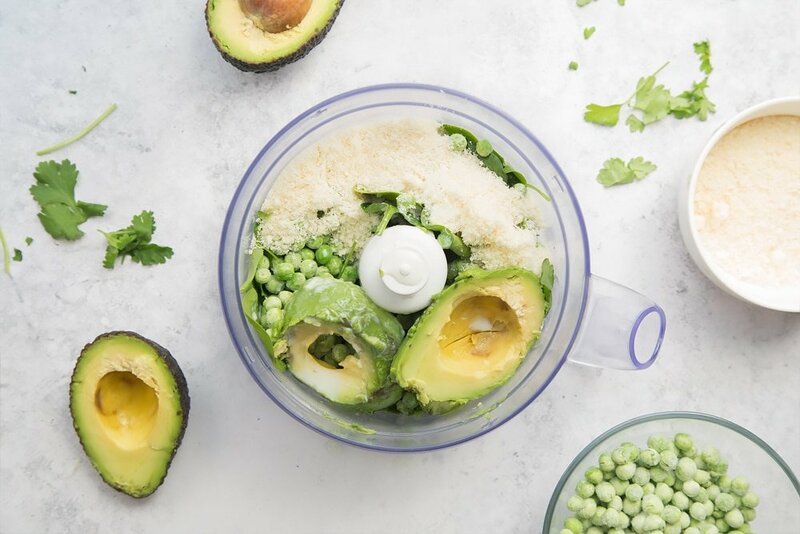 Then the next time you make it, get the kids involved with popping all the ingredients into the food processor so that they can see what they’ve been enjoying! Wow! 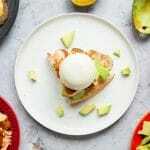 This recipe looks really delicious and interesting to try. My hubby would love this for sure for our family dinner. 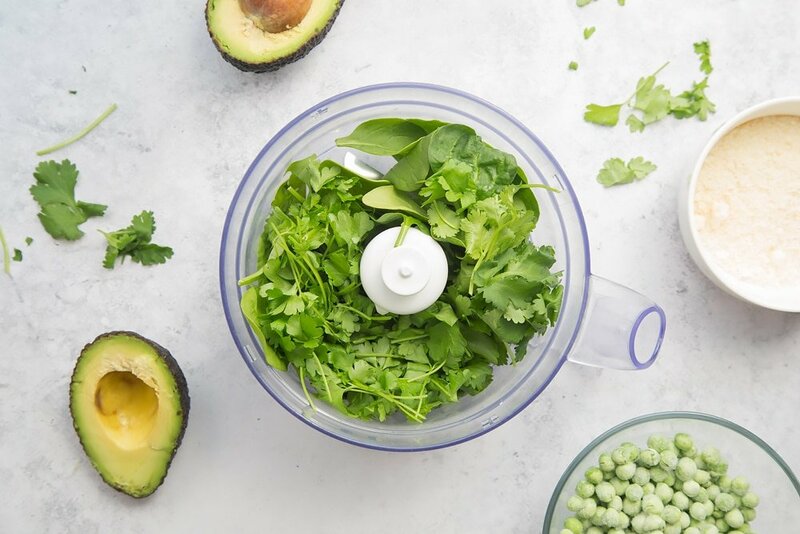 This recipe really is so tasty, and so quick and easy to make with everything going in the blender together! The book is lovely – well worth checking out. 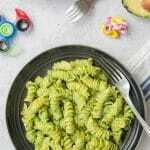 Ooh this looks great and I love that I could convince my children to eat this ‘magical green pasta’ without them realising that actually it’s amazingly healthy and good for them! I have to admit I’ve not had a completely green filled pasta sauce before but this sounds delicious and hands up I love that it is quick to make as I can’t spend long in the kitchen. 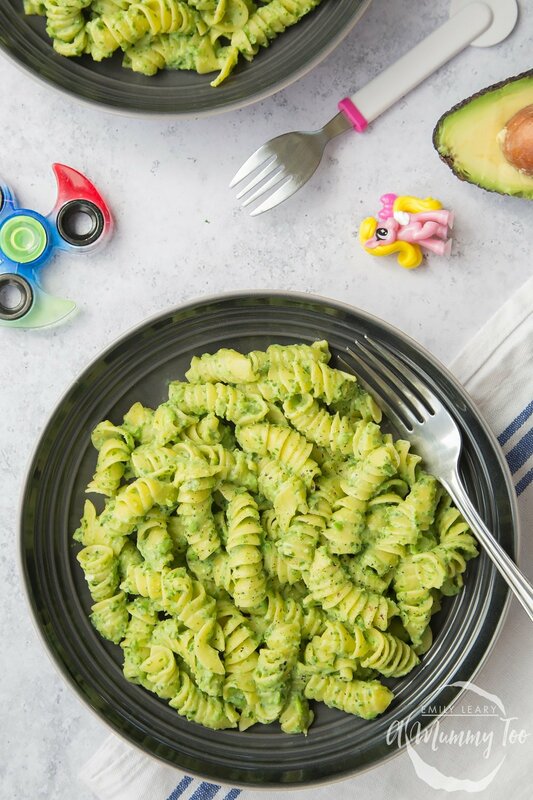 This recipe for green pasta really is so tasty, and very quick and easy to make with everything going in the blender together! The book is lovely – it’s well worth checking out. Gosh, this looks so good. I adore avocado so the idea of using it as the base for a pasta sauce is amazing. I need to try that! 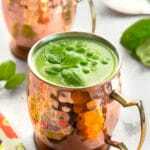 It really is such a delicious recipe and it’s so quick to make with everything going in the blender together! “Living on the Veg” is a lovely book – well worth checking out. Yes, it really is a delicious dish and it’s so easy to make with all the ingredients (apart from the pasta!) going into the blender together.”Living on the Veg” is a lovely book – well worth checking out. I love this. So simple and gluten free.